Meetings industry is in many ways similar to rock ‘n’ roll. It is passion, commitment, striving for diversity and visibility. With all boldness and a strong voice at the right time to show the best of what you have. To impress the audience and leave an impression. To establish a special contact with each listener and respond to his wishes. To make sure that he or she becomes your fan. 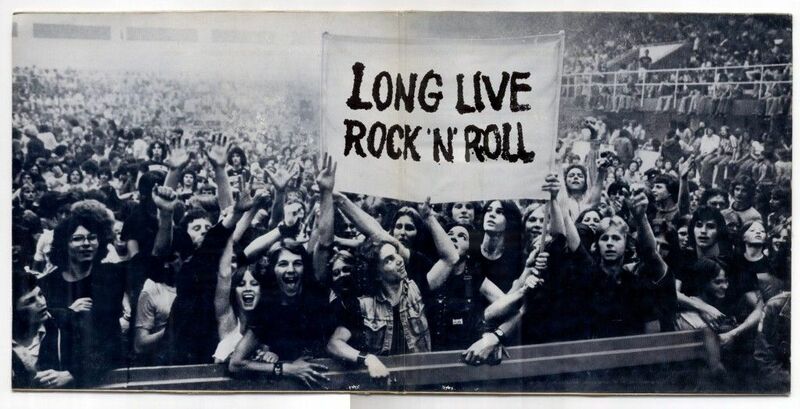 The secret and essence of rock’n’roll remains a good idea. The best are simple, clear and unambiguous. Those that address the heart and soul. It is a universal language that everyone understands. The idea of rock ‘n’ roll is inextricably linked to the idea of freedom. Rock’n’roll attitude is a form of thinking and living. Anyone who thinks a little bit with his own head, will find a message in the texts the message, and will easier understand and live life. Therefore we usually turn to those who have something to communicate and to trigger our emotions. Many of them remain voiceless, often only the most radical are remembered. Let us remember the hippie movement, which through music demolished the war in Vietnam, and the punk movement of the late eighties. Organisation of events and conferences is similar. For a good event we need a cool idea. Clearly cleansed so that the participants will be able to decipher and understand it, and which will touch them. For such ideas we need creative individuals. Creative individuals probably have an underlying potential, but the environment is one that positively encourages these qualities. Congress environment of the last few years is divided on conference logistics and conference architects. On a kind of architecture and engineering of events. Ideas are the ones that separate meetings logistics from meetings architects. The first ones are adherents of the beaten track, others are looking for and creating something new, passionate and exciting. Creativity is at home in the Balkans. Only look at the legend of Nikola Tesla, who developed his genius to the end in another environment. Throughout history this has been proven by numerous architects, artists and experts in marketing and a myriad of crazy rock bands that are only known to he people of this region. We should be able to make better use of such natural creative charge and should transform the entire region into smart convention region. In addition to several years of common history, namely, we share common rock history with its universal positive language and distinctive ideas. Without limitation, it is waiting to be discovered and with it excite and surprise international meetings scene. Personally, I am a big believer of simple and refined minimalist and honest ideas. But we must not forget that the idea that we can not sell to clients is worthless. Creativity is never an end in itself. For almost a year Bayer has been building the biggest rock band in the world. More than 500 employees prepared hit Xarelto for potential buyers and intermediaries. Their clients were in the form of coaching taken through the basics of rock and roll. From the vocals and instruments through rhythm and harmony to the stage performance and implementation of a hit. Four events, seven locations, 18 workshops and 9 evening events are the final proof that rock’n’roll is the perfect inspiration for events. Author of the idea is the agency Face to Face from GmbH. The event is known as the most successful example of the presentation of a new pharmaceutical product on the market in 2012.